Wherever EMV-enabled cards are used, a cryptographic chip verifies the cardholder’s authenticity. On a per-use basis, VirtuCrypt Elements EMV prepares data and validates transactions using EMV chips in either card-based payments or contactless payments. 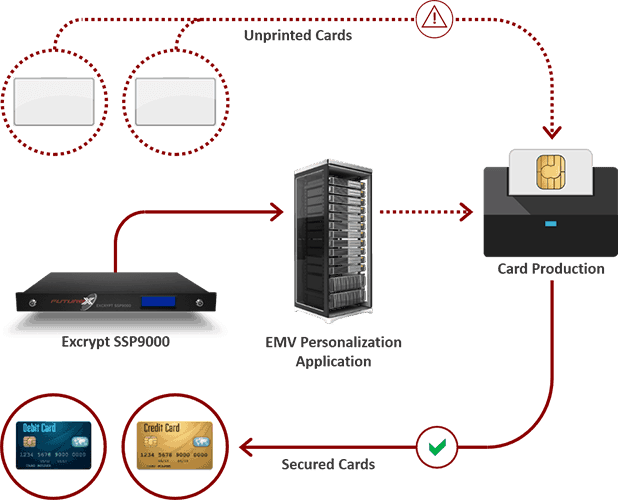 VirtuCrypt supports every aspect of the EMV lifecycle, from issuing the card to processing the card in a production environment. EMV Cards contain microchips to secure valuable card data in conjunction with the user’s PIN. These microchips require protecting. Using an HSM to secure an EMV card, card issuers prevent malicious hackers and fraudsters from successfully skimming card data at point of sale terminals. Prior to deploying EMV cards to customers, it is essential for card-issuing organizations to generate card preparation data securely. VirtuCrypt simplifies this process by providing FIPS 140-2 Level 3-validated HSMs through an intuitive interface.